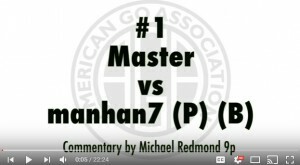 The American Go Association has launched a new series of video commentaries on the recent games between between Master — the latest version of AlphaGo — and top professionals. The series on the AGA’s YouTube channel features commentaries by Michael Redmond 9P, Jennie Shen 2P and Ryan Li 1P. Some two dozen videos are now in production and are expected to be released each Wednesday and Saturday. 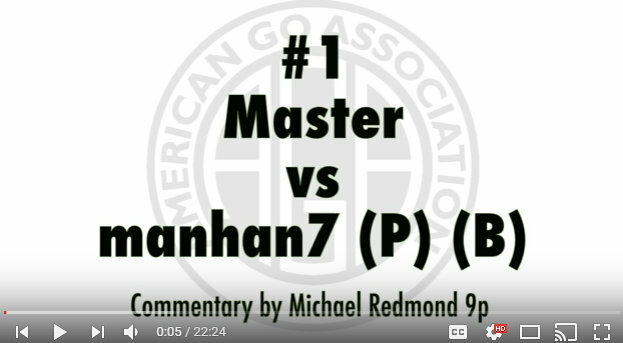 In the first commentary, Michael Redmond 9P and AGA E-Journal Managing Editor Chris Garlock review the first game in the series, which took place in early January (Is AlphaGo the Master? Mystery Player Sweeps Top Pros and AlphaGo confirmed as Master/Magister, both 1/4/2017). In this game, Master plays white against Pan Tingyu 1P (username “manhan7″). The series is produced by Andrew Jackson and Michael Wanek.